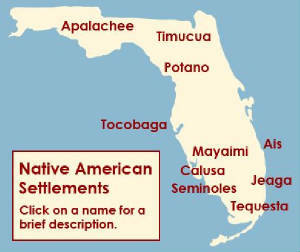 Circumstantial evidence, particularly resemblance in town names, leads to the conclusion that the Ais language was similar to that of the Calusa and the other south Florida tribes. It is believed that it was connected with the Muskhogean stock. Fontaneda speaks of a Biscayan named Pedro who had been held prisoner in Ais, evidently during the sixteenth century, and spoke the Ais language fluently. Shortly after the Spaniards made their first establishments in the peninsula, a war broke out with the Ais, but peace was concluded in 1570. In 1597 Governor Mendez de Canço, who traveled along the entire east coast from the head of the Florida Keys to St. Augustine, reported that the Ais chief had more Indians under him than any other. A little later the Ais killed a Spaniard and two Indians sent to them by Canço for which summary revenge was exacted. Relations between the Floridian government and these Indians were afterward friendly but efforts to missionize them uniformly failed. From at least A.D. 1000, a group of farming Indians was living in northwest Florida. They were called the Apalachees. Other Florida Indians regarded them as being wealthy and fierce. Some think the Apalachee language was related to Hitchiti of the Muskhogean language family. The Apalachees' territory extended from the Aucilla River in the east to the Ochlockonee River in the west. The Calusa Indians were originally called the "Calos" which means "Fierce People." They were descendants of Paleo-Indians who inhabited Southwest Florida approximately 12,000 years ago. During the Calusa's reign the Florida coastline extended roughly 60 miles further into the Gulf of Mexico. Hardwood forests covered the land and the climate was much colder than it is today. The Calusa inhabited a region abundant with bears, woolly mammoths, sloth, tortoises, and saber-toothed tigers. Hunting these animals and gathering roots and fruit that grew on trees was a mainstay until they discovered the waters contained a wealth of fish. This new food source required significantly less time than hunting and gathering their food, and allowed the Calusa time to establish their own system of government. It was quite a complex structure involving nobility, commoners, and slaves. 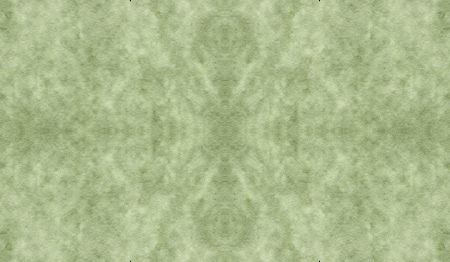 Following this formation of a centralized government were the construction of a canal system, the beginnings of organized religion, and the creating of many art forms. The Jeaga (YAY•gah) inhabited present-day Palm Beach County. Jonathan Dickson, who survived a shipwreck on the coast near Jeaga land in 1698, described them as "fierce and bloody." The Jeaga depended on the sea for food. Along the lower Atlantic Coast was the home of many small tribes: the Tequestas of Biscayne Bay, the Ais and the Jeagas up the coast, the Keys Indians, and the Mayaimi who built large mounded villages near Lake Okeechobee. Like the Calusa, these tribes were fishermen and hunters rather than farmers. The Potano tribe was anciently celebrated as, with one or two possible exceptions, the most powerful of all the Timucua peoples. Located in the territory of the present Alachua County. The Seminoles of Florida call themselves the "Unconquered People," descendants of just 300 Indians who managed to elude capture by the U.S. army in the 19th century. Today, more than 2,000 live on six reservations in the state – located in Hollywood, Big Cypress, Brighton, Immokalee, Ft. Pierce, and Tampa. Seminole history begins with bands of Creek Indians from Georgia and Alabama who migrated to Florida in the 1700s. Conflicts with Europeans and other tribes caused them to seek new lands to live in peace. Groups of Lower Creeks moved to Florida to get away from the dominance of Upper Creeks. Some Creeks were searching for rich, new fields to plant corn, beans and other crops. For a while, Spain even encouraged these migrations to help provide a buffer between Florida and the British colonies. The 1770s is when Florida Indians collectively became known as Seminole, a name meaning "wild people" or "runaway." The Tequesta were a small, peaceful, Native American tribe. They were one of the first tribes in South Florida and they settled near Biscayne Bay in the present-day Miami area. They built many villages at the mouth of the Miami River and along the coastal islands. The chief lived in the main village at the mouth of the Miami River. The Timucua lived in large circular houses with palm-thatched roofs. Frequently, they built a wall of tall wooden poles around their villages for protection against attack. Like most Native Americans, the Timucua had no written language. The Tocobaga Indians were a group of prehistoric and historic Native Americans living near Tampa Bay, Florida up until roughly 1760. The Tocobaga were not part of the Timucua culture which usually only extended as far south as modern day Ocala. However, at times some of the Tampa Bay groups may have been ruled by a Timucua chief named Urriparacox who temporarily extended his range of influence. All of the Tampa Bay inhabitants relied heavily on water animals and plants for food, but also hunted and gathered on land. Of all these groups, only the Tocobaga planted corn. Excerpt from: Pelotes Island Nature Reserve: Who Were the Tocobago Indians?